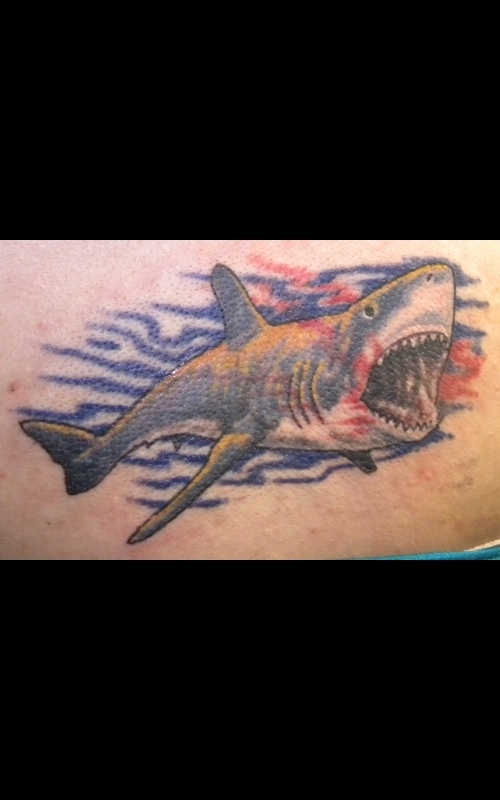 Out For Blood Custom color shark tattoo. 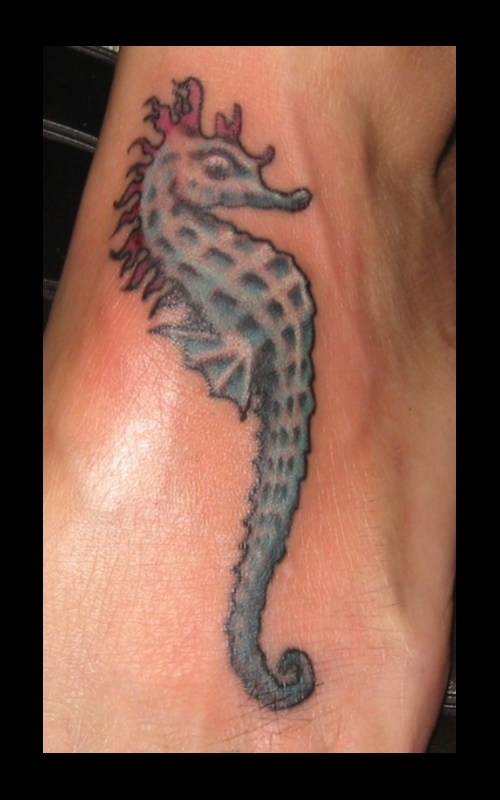 Kickin in the Ocean Custom color seahorse tattoo. 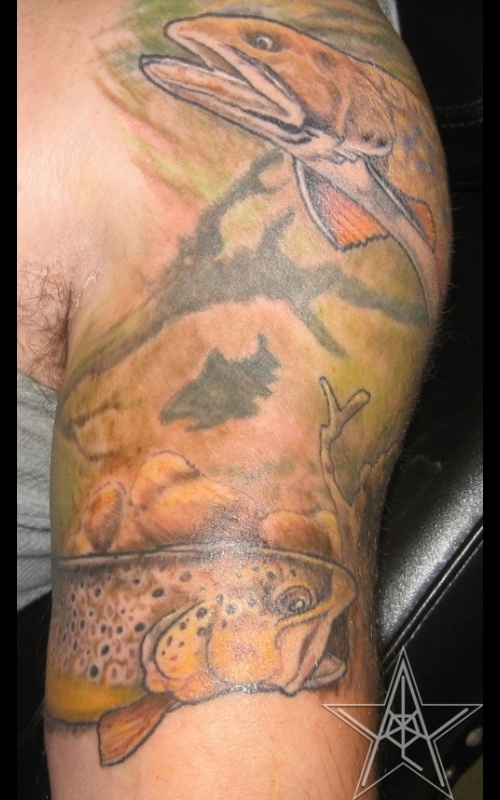 Troutin About 01 Custom color trout tattoo. 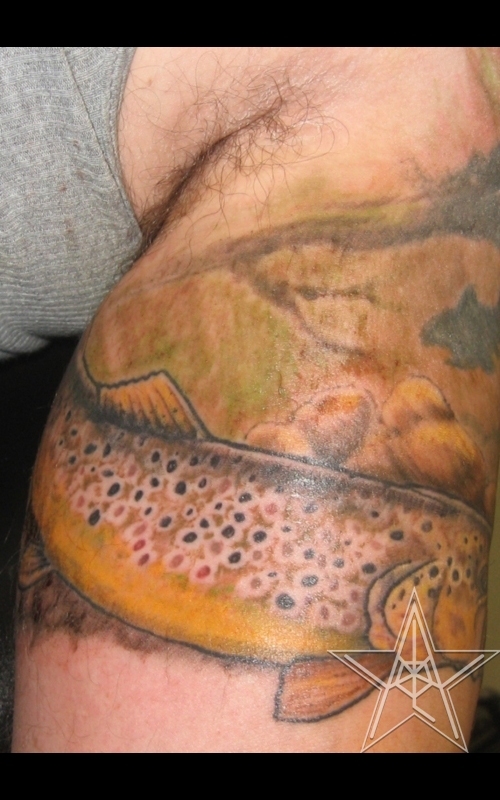 Troutin About 02 Custom color trout tattoo. 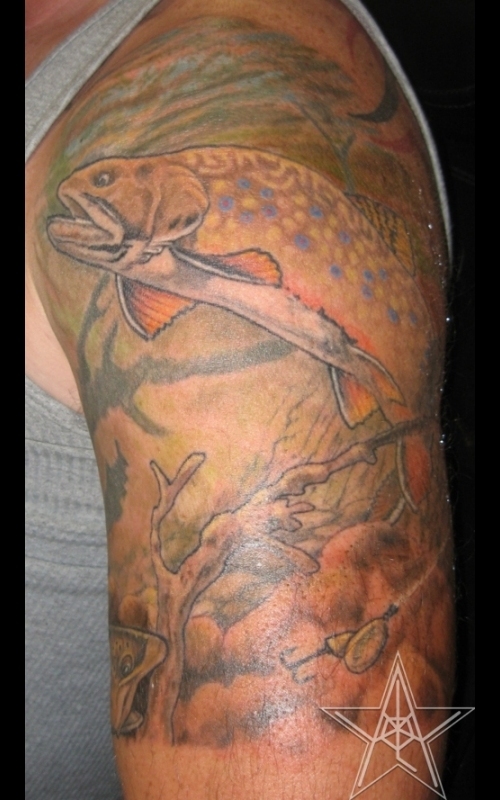 Troutin About 03 Custom color trout tattoo. 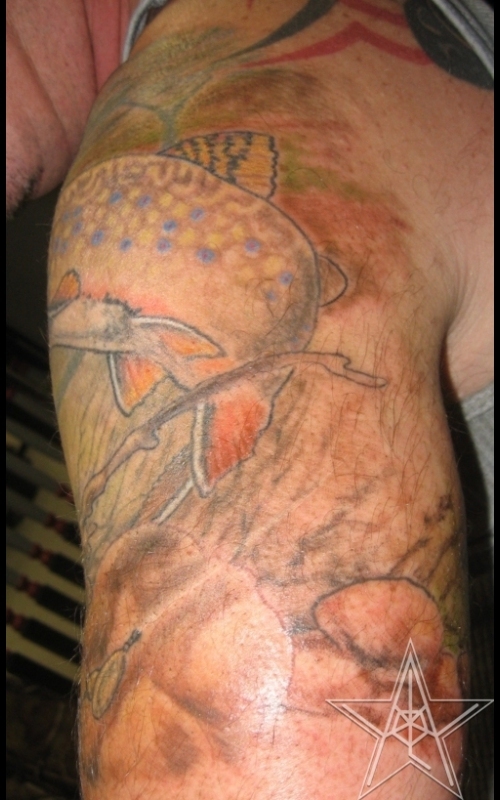 Troutin About 04 Custom color trout tattoo. 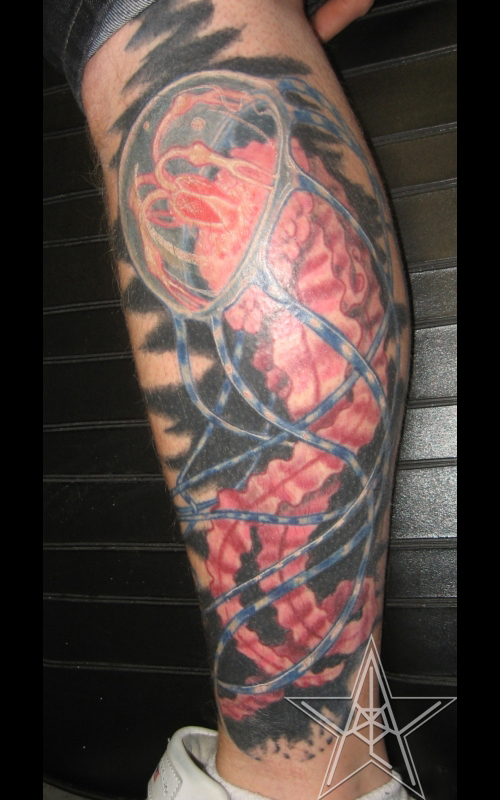 Pulsar Jellyfish Custom color jellyfish tattoo. 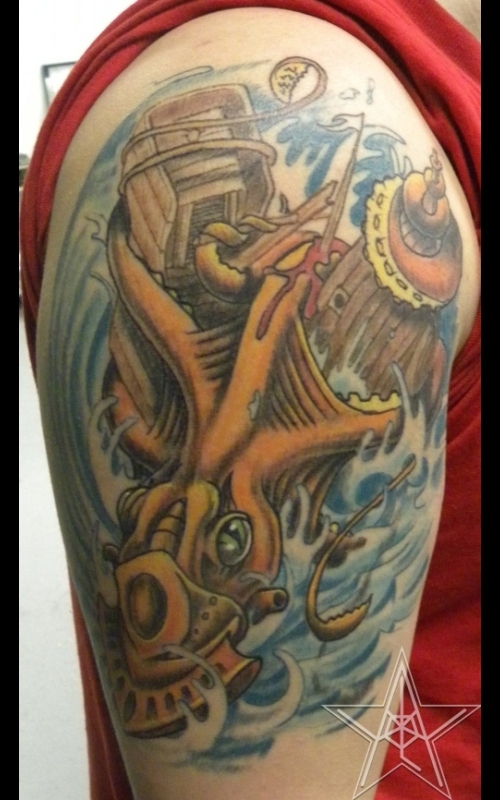 Down With the Ship Custom color Kraken tattoo. Missing the Tropics Custom color sea turtle lower back tattoo. 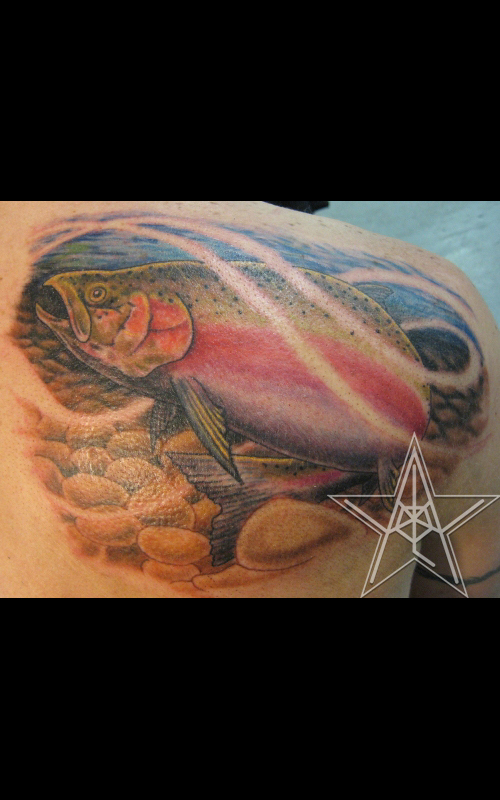 Steelhead Swimming Custom color fish tattoo. 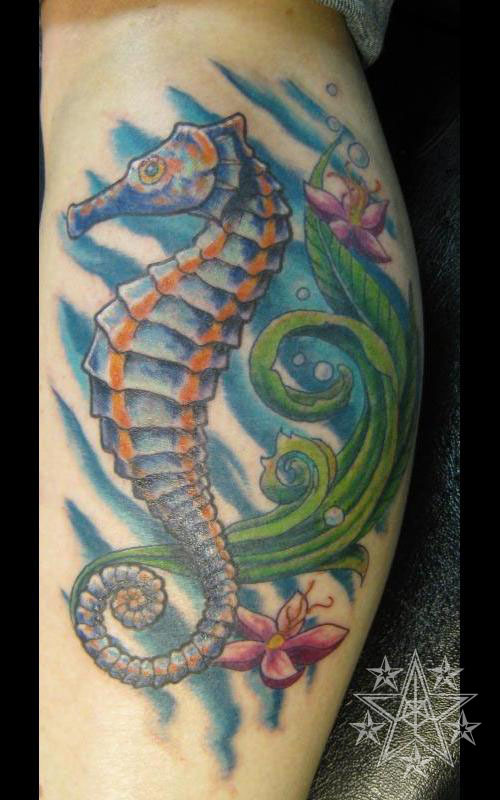 Deepwater Custom color seahorse tattoo. 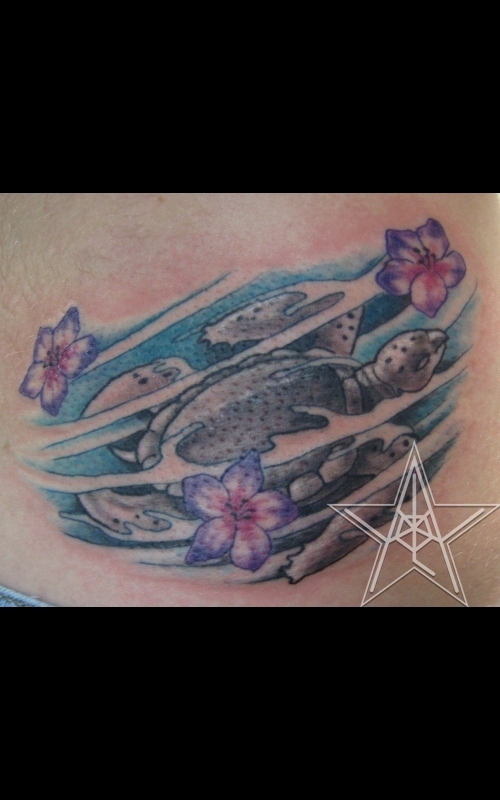 Against the Current Custom color sea turtle tattoo. 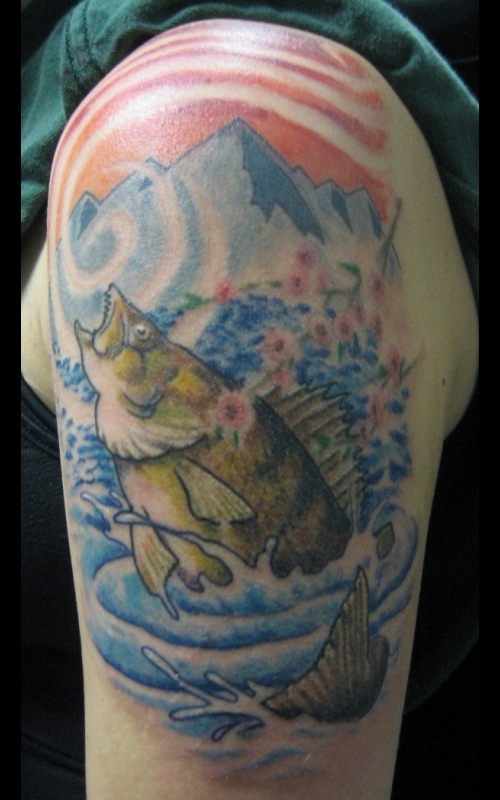 Head for the Mountains Custom color walleye tattoo. 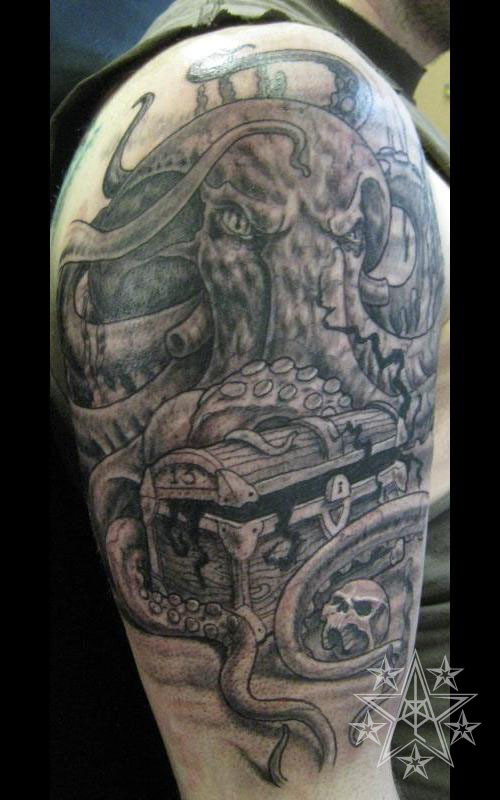 Guardian Octopus guarding treasure tattoo. Michigan Beach Sunset at Lake Michigan tattoo. 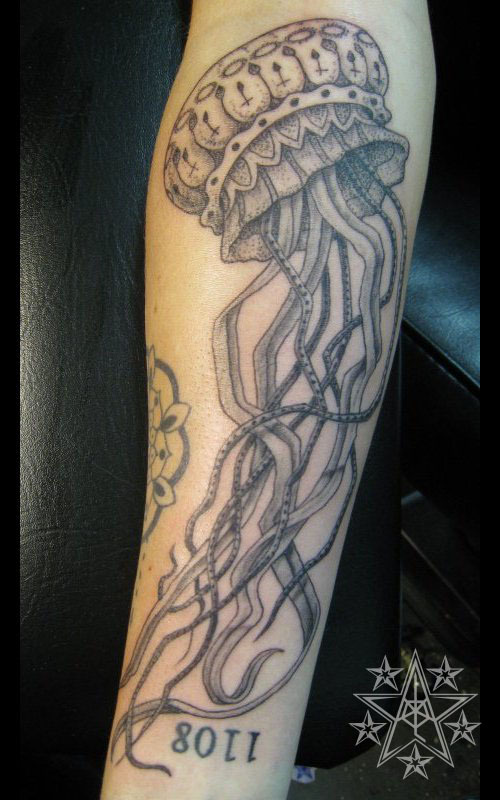 Paisley Jelly Jellyfish with flourish tattoo. 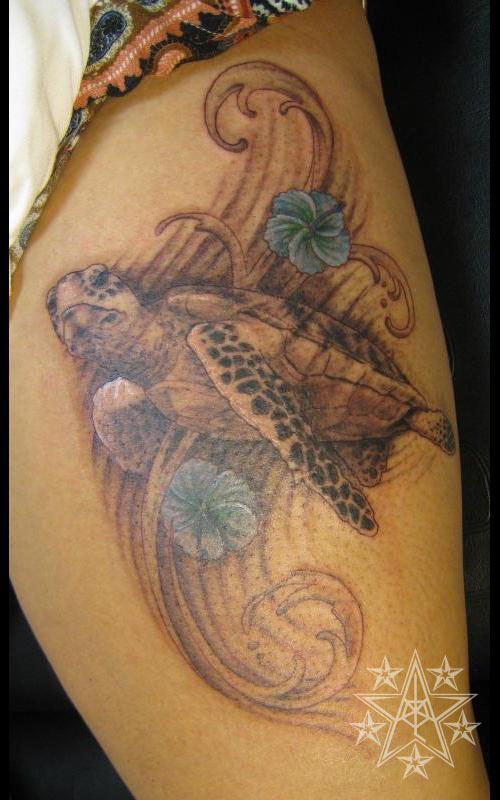 Sea Turtle Swirl Sea turtle with hibiscus flowers and waves tattoo. 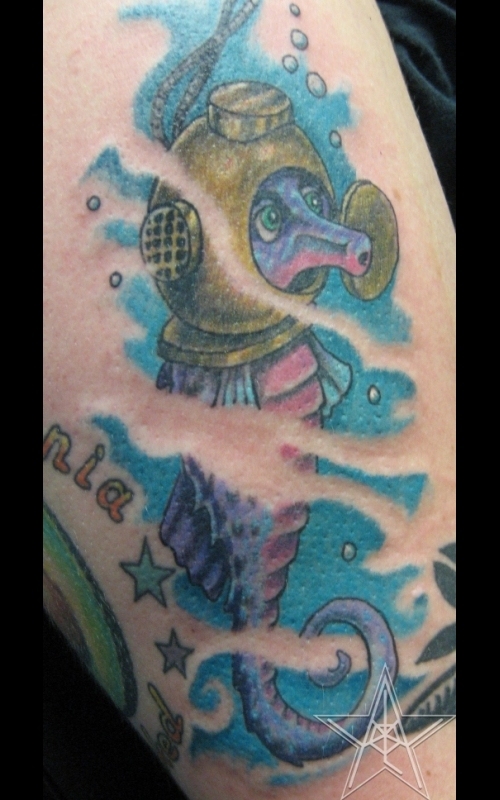 Ridgid Sea horse aquatic tattoo. 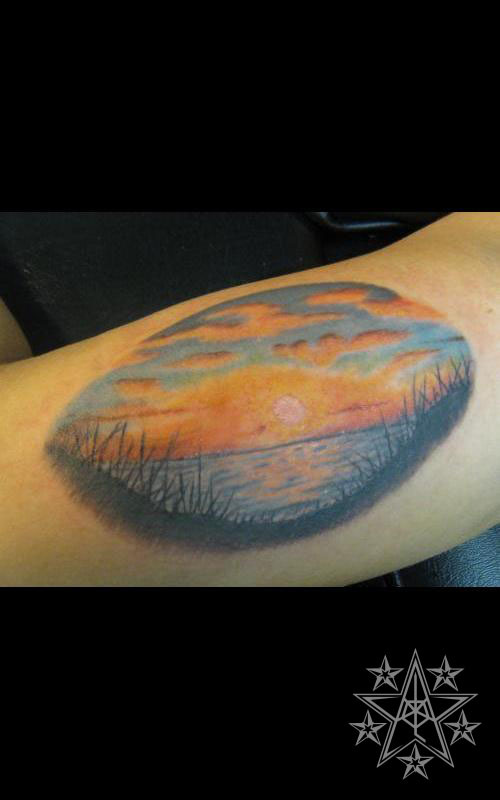 Aquatic tattoos by Ray Reasoner Jr.
Aquatic-There is something both calming and terrifying about the seas and oceans of our planet. Our lakes and streams are typically places of joy and solace. Serene scenes of fish and other aquatic entities can remind us of that fact. Tattoos of giant squid and ships being destroyed, however, are flashbacks to our own mortality and the respect that we must pay to nature.